On Target Research » Can Life Expectancy Stretch To 120 Years? Can Life Expectancy Stretch To 120 Years? There are many who feel the human body should operate for about 120 years. I’m down with that. 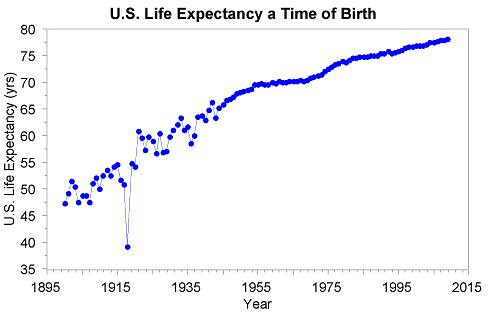 And, who knows, given the ongoing increase in life expectancy, it could happen. It has been increasing for more than a hundred years – inching steadily upward since the end of the Vietnam War, and is just short of 80 now. I don’t know if it’s a factor or not, but the growing use of vitamins and supplements by Americans of all ages, particularly over the last couple of decades could be a factor. We are experiencing a societal stampede to more healthy lifestyles. One fact: we currently consume more than $30 billion a year of vitamins and supplements annually. I contribute my share. I grab many of my vits at the Vitamin Shoppe. You’ve probably seen one of their stores around – there are hundreds of them across the country. Great selection and good prices. Sounds like a commercial, but they’ve got a good niche. So I’m in there the other day loading up on some flaxseed oil and an enigmatic mixture of other healthy molecules. When I check out, the clerk puts a copy of their magazine Amazing Wellness in my bag. Later, I’m home and I’m thumbing through the mag reviewing the ads – a never-ending exercise of professional therapy for moi. If I spent this much time in the gym….let’s not go there. The magazine is mostly ads. There are some articles, but even most of those are advertorials. A full-page ad early in the magazine catches my attention. Clear, impactful communication. Clean graphics and a one word “Button”: CONVENIENCE. 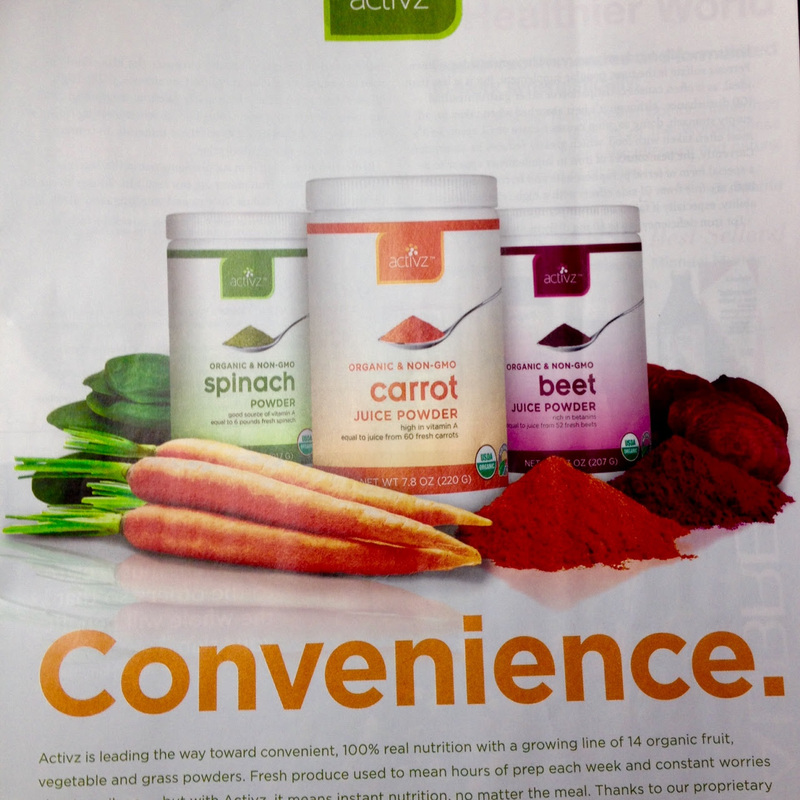 That could refer to many things, but here it is placed below pictures of fresh vegetables and colorful powders next to handsomely designed canisters that are labeled Carrot, Spinach, Beet. This catches my interest because, along with millions of others, one of my best friends is my Nutri-Bullet, in which I blend spinach, blueberries, and hemp seeds with almond milk, and a dazzling array of nutritious powders, vitamins and minerals. This doesn’t mean that I will abandon my fresh, organic fruits and vegetables, but the ad prompted me to go to their website (https://activz.com), read about their products and decide to buy some next time I swing by The Vitamin Shoppe. The copy assured us that it works in airplanes and on the ground. Thank God. And that it was Guaranteed, or your money back. There is only one itty-bity thing missing in the ad: What the Hell is it? I was sure I had missed something and looked at the ad more closely. Surely it must tell us what XLEAR is. Driven by incredulity, I went to the website. 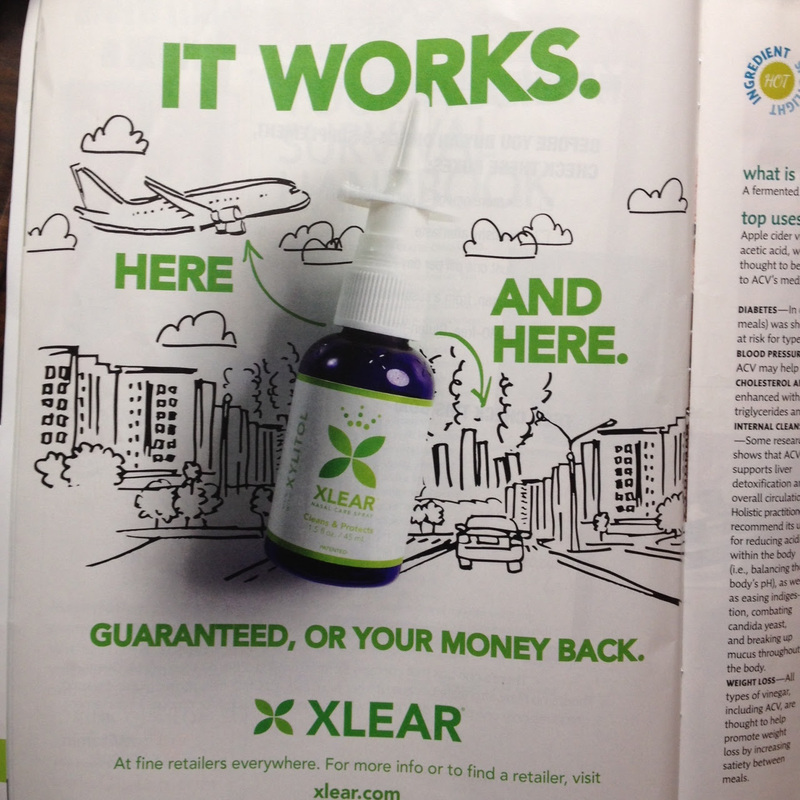 XLEAR is a brand for a company that makes xylitol-based products (xylitol is a natural, low calorie sweetener). And the subject of the ad is a xylitol based nasal spray. Certainly not the readers of this ad. Forget that there were no surveys behind this ad (I fly a lot. I mean a lot: across the U.S. often, to Japan, England, Germany, Russia, Australia, Mexico, to name a few international destinations, and I have never seen anyone use any kind of nasal spray on a plane. Ever. Not with a naturally sweetened spray or without one.) The mind fractures like a glacier in springtime trying to understand how a company could spend money for a full-page ad in a health magazine and not tell the reader what they were selling. The company does sell a successful line of xylitol-flavored gum and mints under the brand name Spry, but there is no tie-in to that brand in this ad. With two ads which show the wide disparity of the quality and impact of marketing communications. One shouldn’t need to be reminded that advertising should tell the reader what the product is, along with the benefits of buying and using it. It also shows, tangentially, the value of surveys as the company that manufactures the Nutri-Bullet does conduct customer surveys. And these guys are generating an eye-popping $600 million a year in revenue. Which leads to our short but poignant commercial. Your advertising, your marketing, your website should Create Want. And how better to determine what your public wants than by asking them – something we have been doing for businesses large and small for more than a quarter of a century. “We employed On Target last April. The client survey work was excellent…. The bottom line is that this last year ended as my highest-ever year.” Insurance agency. “My business is expanding continuously since the surveys have been done and implemented.” Restaurant. Let me know if we can help you Create Want for your products.